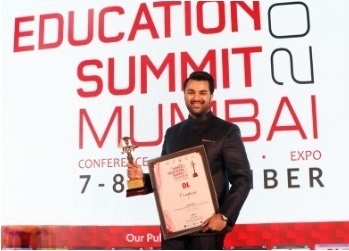 Ryan Pinto, CEO, Ryan International Group has been awarded 'Edupreneur of the Year’ at 13th World Education Summit hosted by digital LEARNING. As one of the key speakers at the summit, Ryan Pinto spoke about the significance of encouraging experiential learning in schools, so that students remain passionate all the times. He addressed the limitations of Artificial Intelligence, in terms of teaching our students to be good human beings. 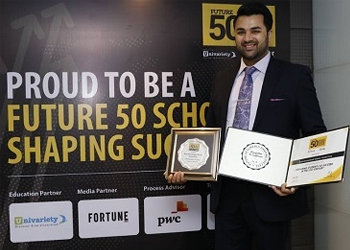 Ryan International School, Vasant Kunj has been awarded the Future 50 Schools Shaping Success for the 2nd year in a row by Fortune India Magazine in collaboration with Univariety. 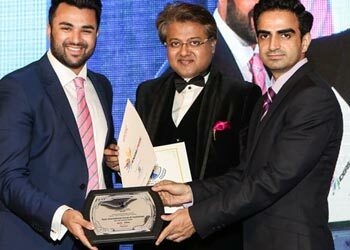 The Award is received by Mr. Ryan Pinto CEO Ryan Group in a glittering ceremony at Sahara Star Hotel Mumbai. The prestigious Samson Daniel Award 2018 was presented to Ryan International Group of Institutions for its contribution towards the elderly people of the society on the International Day of the older persons organized by HelpAge India on 01st October 2018, New Delhi. 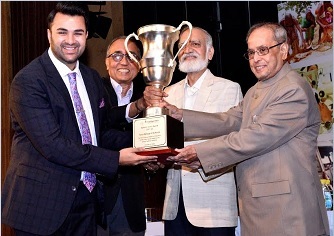 Mr. Ryan Pinto, CEO, Ryan Group received the award from former President of India Shri. Pranab Mukherjee. Over the years, Ryan Group’s continuous effort in association with HelpAge India in helping senior citizens live a life of dignity and be economically and physically secured has always been applauded and commended. 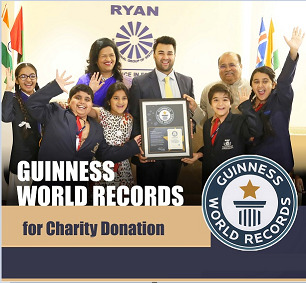 Ryan International Group of Institutions is recognized by Guinness World Record for participating in the world’s largest charity donation. Mr. Ryan Pinto, Ryan Group awarded with "Third Edition-Emerging Star" 100 World's Greatest Brands Leaders 2017 for his dynamic leadership. Madam Grace Pinto was awarded with the Lifetime Achievement in Education by MidDay for her immeasurable contribution towards education sector. 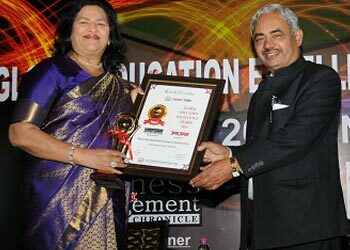 The award recognizes her untiring efforts & noteworthy contributions towards education. Madam Grace Pinto, MD, Ryan Group receives “Education Evangelist of the Year 2017” award at 3rd Thought Leadership Award, by SkillTree Knowledge Consortium in London, UK on 22nd February 2017. The World Education Conference was held on the 23rd & 24th of September, for felicitating the country's top day, Boarding and International Schools. 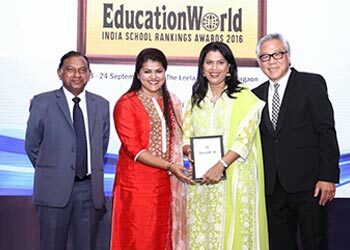 Ryan Global School, Andheri that ranked 10th, received the "Education World India School Rankings 2016 award". 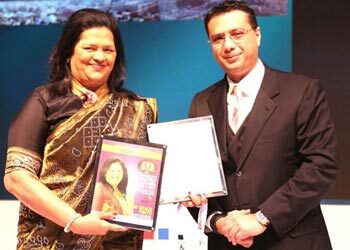 Madam Grace Pinto, MD, Ryan Group was awarded the PRIDE OF INDIA - Maharashtra for her immense contribution to education. 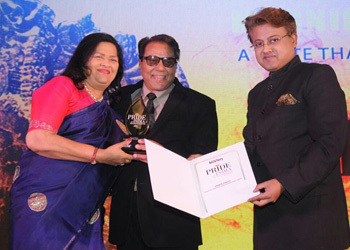 In a glittering ceremony held at Hotel Sahara Star in Mumbai, the Award was given to her by the inimitable Bollywood actor Shri Dharmendra Deol. 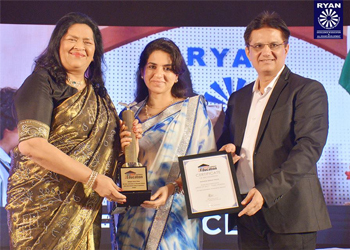 Ryan International Group of Institutions was awarded the "World's Greatest Brand 2015-16"
Madam Grace Pinto, Managing Director, Ryan International Group of Institutions was awarded the Asia's Number One Person of the Year for her commendable contribution in the Global Education Industry by Ms. Neeta Bhushan, Deputy Chief of Mission and Head of Chancery, Indian Embassy at the World's Greatest Brands and Leaders 2015-16 event held at Ritz Carlton, Abu Dhabi, UAE on 29th May, 2016 organised by URS Media consulting P.L. The event was organized to celebrate the spirit of leadership in GCC, Africa and Asia. On this very occasion Mr. Ryan Pinto,Ryan Group was presented "The World's Greatest Leader 2015-2016" for his dynamic leadership and the Ryan International Group of Institutions was awarded the World's Greatest Brand 2015-16 in the segment of education. Price water house Coopers P. L. being the official process reviewer added the much needed credibility. This was indeed a moment of great joy as the Ryan Group celebrated triple recognition at one prestigious international platform. 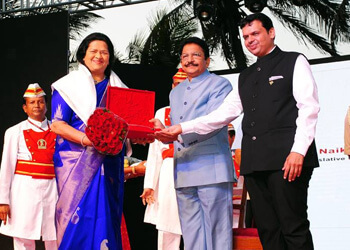 Madam Grace Pinto MD Ryan Group was felicitated on May 1, 2016 for her commendable contribution in education, by Hon'ble Governor of Maharashtra Shri CH Vidyasagar Rao in the presence of Hon'ble CM of Maharashtra Shri Devendra Fadnavis. The other personalities who were felicitated included Union Minister of Railways, Shri Suresh Prabhu and exDGP Mr. Julio Ribeiro. Madam Grace Pinto, MD Ryan Group was recognized for her inimitable leadership at the Economic Times Inspiring Business Leaders event. The event was held at the Sahara Star hotel in Mumbai on Mar 31, 2016. 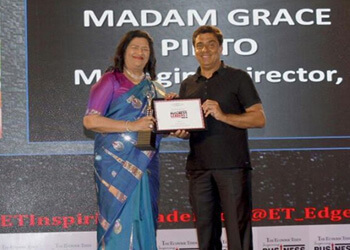 Madam Grace Pinto, MD Ryan Group was presented with the Inspiring Business Leader of India by Mr. Ronnie Screwvala, Founder & CEO, UTV. 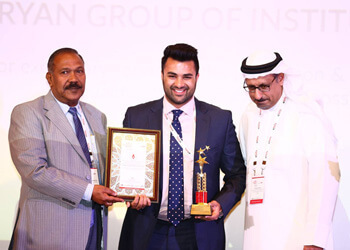 The Ryan Group was honored with the Editors Choice Award for exemplary service in promotion & development of quality school education across India by Digital Learning at World Education Summit (Dubai, UAE) . 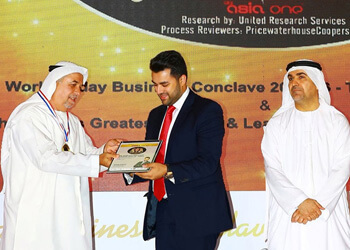 The Award was presented by Dr. Ayoub Kazim, Managing Director, Dubai Knowledge Village and Dubai International Academic City and Mr. V.Radhakrishnan, State Minister of Education, Sri Lanka in a glittering ceremony held at Dubai. Madam Grace Pinto amongst "100 Women Achievers of India"
Madam Grace Pinto, Managing Director, Ryan International Group of Institutions among “100 Women Achievers of India” selected by the Ministry of Women and Child Development with Hon’ble President of India, Shri. Pranab Mukherjee and Hon’ble Minister for Women and Child Development, Smt. Maneka Gandhi, at Rashtrapati Bhavan on January 22, 2016. 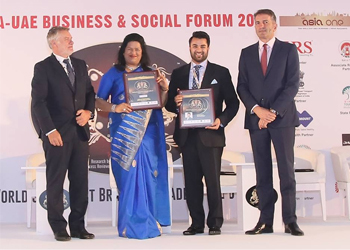 Ryan Group was declared one of Asia's Best K-12 Education Institutes at the Asia's Best And Fastest Growing Institutes Awards held in Singapore recently. The award was received by Mr. Ryan Pinto, Ryan International Group. 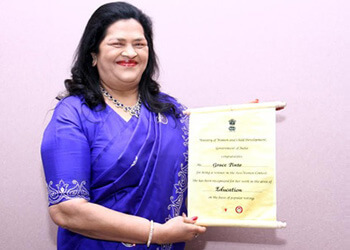 The prestigious was conferred upon Madam Grace Pinto, Managing Director, Ryan International Group of Institutions for her invaluable contribution towards elderly people of the society on the International Day of the older persons organized by the HelpAge India on 01st October 2014 at Stein Auditorium, India habitat Centre, New Delhi. 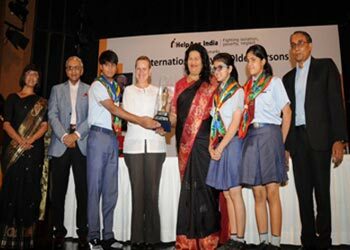 The Award was presented by Ms. Lise Grande, UN President Coordinator and UNDP Resident representative in India. Her continuous effort in strengthening the living standard of the elderly people in association with HelpAge India was applauded by all. On the same occasion the Samson Daniel Award was presented to Ryan International School, Bangalore, Karnataka for their highest contribution towards the cause of the elderly. The Ceremony had an august gathering addressed by prominent speakers like Ms. Lisa Grande. The Chairman Helpage India Mr. Amal Ganguli and CEO- Helpage India applauded the efforts of the Ryan Group. The Ryan group of Institutions has always given utmost importance to inculcate values of respect, humility, charity and kindness to the students. The students strive to impact the society. They work towards this vision with passion and much generosity. Ryan Group has been at the forefront in its efforts towards nation-building through works of social engagement, charity and education. Since its inception, the group has stoutly championed a wide range of public interest issues and national social causes which also includes protection of environment, cleanliness of the city, tree planting etc. and has assisted institutions working for such causes. The strong foundation as envisioned by the Chairman, Ryan International Group of Institutions Dr. A. F. Pinto drives the students to work relentlessly to become agents of transformation in the society. The Ryan International Group of Institutions was honoured with Six Awards for their continuing efforts in providing quality education at the Education World 2014 Awards held at Hotel Lalit, New Delhi. 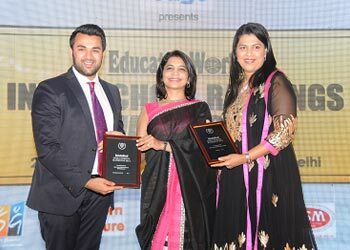 The Ryan Global School, Mumbai was awarded for being ranked in the Top 10 in the Best International School category in India while the Ryan International Schools at Jaipur, Surat, Shahjahanpur, Ludhiana and Nasik were felicitated for being among the best schools in their respective cities. In addition to this, the group had a total of 37 schools in the Best Schools of India in various categories. The Ryan Schools have distinguished themselves by their focus on academic excellence and all-round development.The Awards were received by the Mr. Ryan Pinto and Director Ms Snehal Pinto. 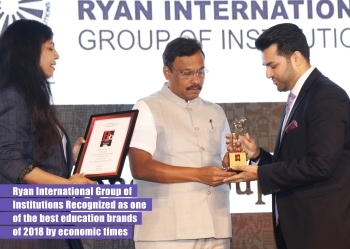 It was a proud moment for Ryan International Group of Institutions for being the proud recipient of Global Education Excellence Award 2014 from Prime Time for being the leader in leading chain of schools across the Globe and bringing in innovation in education sector by celebrating the spirit of Excellence in Education. The achievers of this Excellence award are the stellar individuals and organizations who epitomize strength, ingenuity, knowledge, foresight and who drive the growth of the sector with vision and inspiration. 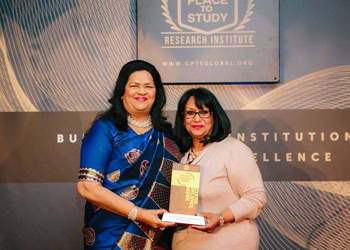 Madam Grace Pinto, Managing Director, Ryan International Group of Institutions received “Global Education Excellence Award” for being a visionary behind today’s outstanding education system through her exemplary contribution in the segment. She was applauded for applying best professional modules to manage and keep the mission afloat by spreading the light of knowledge to millions of. Her contribution to the field of education and specially covering all stratas of the society was appreciated by the entire audience. The Award ceremony was held at Crown Plaza, New Delhi in the presence of eminent dignitaries Mrs. Najma Heptullah, Member Rajya Sabha, Shri. Amar Singh, Member Parliamentary forum and Rajya Sabha Member, Mr. D.K. Vaid, Director NCERT, Dr. Balachandra Mungekar, Former, Vice chancellor and Rajya Sabha Member, Shri. Anand Kumar, Founder–Super30 Educationist.